Hit the open road with the Spyder F3-S Special Series and when you want to turn things up a notch, the low center of gravity, higher-performance shocks and Sport Mode are ready. MAXIMUM INFO. MINIMUM DISTRACTION: The Spyder F3-S Special Series boasts a new sporty 7.6 in. wide digital display that delivers the essentials without the distractions. Intuitive, interactive and informational, this intelligent instrument cluster includes: tachometer, odometer, elapsed trip & time, gear position, engine temperature, engine lights, electronic fuel gauge, and time. POWER = FUN: As soon as you twist the throttle, you'll feel the power kick in. The Spyder F3-S Special Series features 115hp (10hp more than the base F3) and 96 lb-ft of torque. 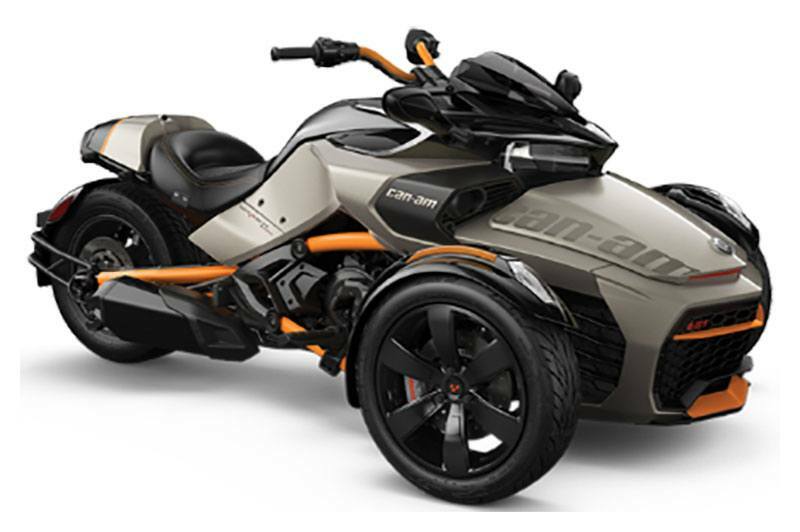 It has the best power-to-weight ratio in the Can-Am Spyder lineup, which is perfect for spirited riding or a relaxing cruise down the highway. ENHANCED SPORT DESIGN: Nothing looks quite like the Spyder F3-S Special Series. 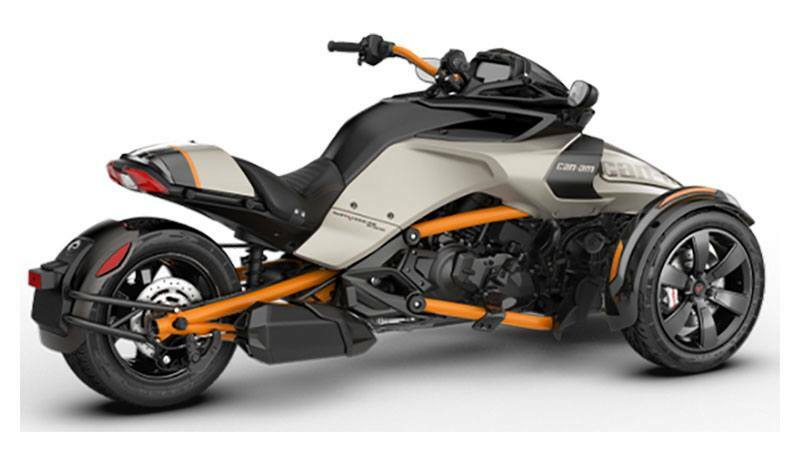 “Special” only begins to describe its distinctively aggressive, sporty appearance; from its Super Sport Grille, orange handlebar and frame, Mono Seat Cowl and Gauge Spoiler, it leaves a first impression others can only follow. *Passenger seat also included at vehicle purchase.